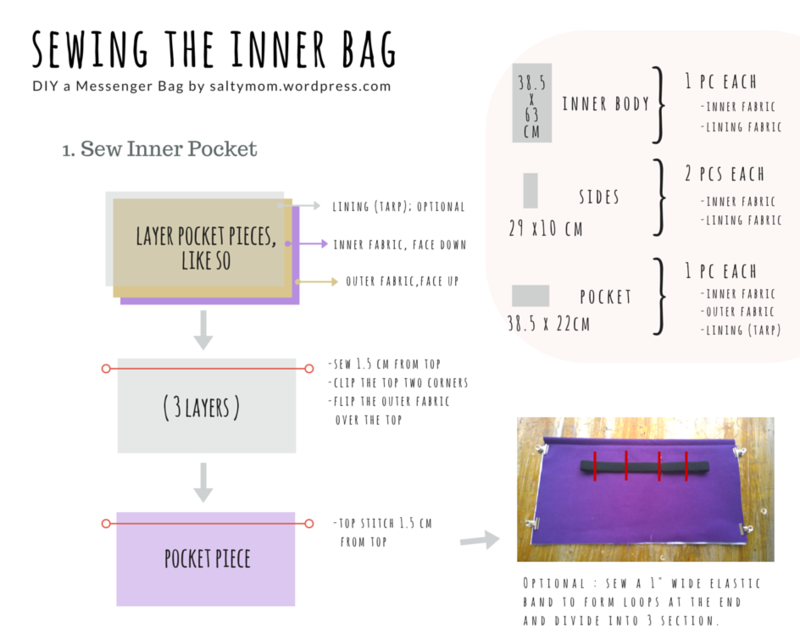 First step is to sew up the inner pocket … The pocket in the black messenger bag is just 2 layers. 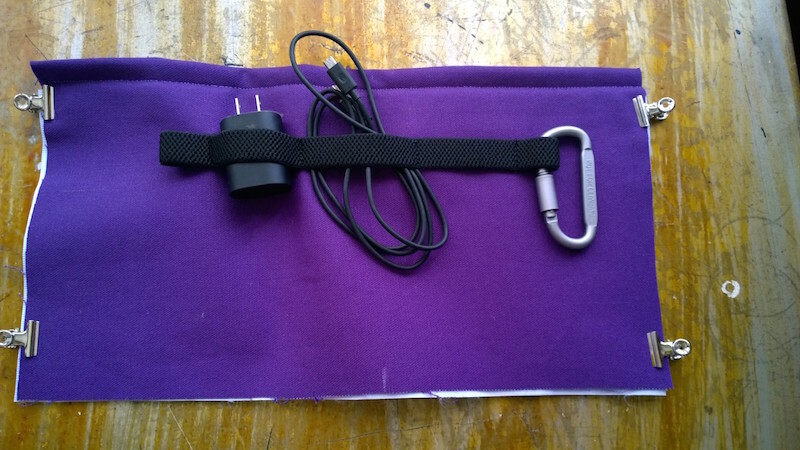 Here, I added another layer ( tarp ) to create a stiff pocket so that an elastic band can be sewn on top. 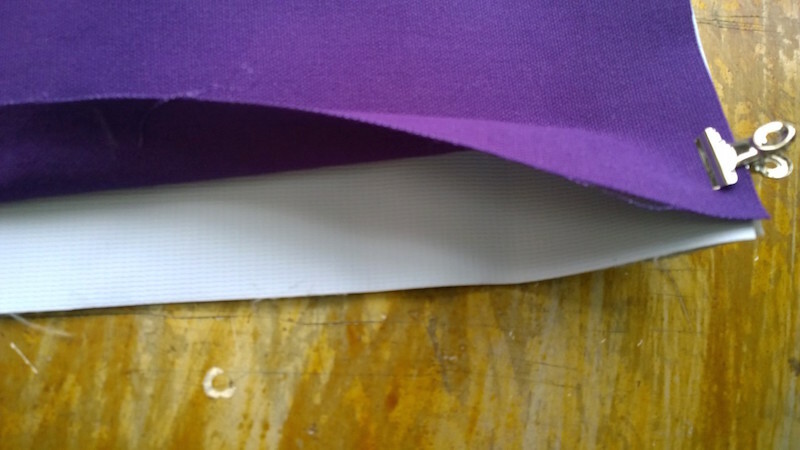 Even with the stiff interfacing, the pocket gets pulled a bit. When the sides are sewn , it should hold it back in place.